Our optometrists in Cedar Park, TX are really excited about a new procedure and new product for patients with Blepharitis (inflammation along the eyelid margin) or Dry Eyes. We will prescribe a new product called Avenova afterwards. Avenova is a unique solution with rapid anti-microbial, anti-toxin, and anti-biofilm activity. The solution feels refreshing and cooling upon application and should be used twice a day for at least a month. BlephEx microexfoliation is $75/eye. Avenova (30-45 day supply) is $34/bottle with a 10% discount on 3 or more bottles. The treatment is painless but some patients may experience mild discomfort or a tickling sensation during the procedure. Numbing drops will be placed on the eye and lid area. Lids will be exfoliated with a special soapy formula. Afterwards, we will cleanse the area with Avenova and use steroid drops to reduce inflammation. You may experience some irritation for approximately 24 hours. It is recommended to repeat this procedure 2-4x a year. 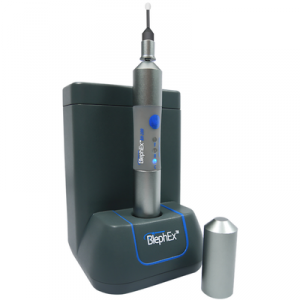 If Avenova is used regularly the need for repeat Blephex treatments may be reduced. Don't need Blephex? Check out our other eye care services such as CRT.